Want more gain and less pain from your doctor prescribed male hormone replacement therapy program? Knowledge is the key to achieving this; so you will need to learn a few things such as what size needle for testosterone cypionate injections you should be using and some other essential new knowledge. By doing this, you will get the most out of your treatment – because you won’t make the mistakes that are often caused by not knowing how to use injectable testosterone replacement therapy correctly. One of the first things to understand is that you will be using two differently sized needles in the administering of your injection, a larger one that you’ll use to draw out your prescribed dose of testosterone from the vial it comes in and a smaller one that you’ll use to inject it into your chosen site. The exact sizes of the needles used by patients for these two procedural steps can vary somewhat; but it is very common to use, for example, an 18-gauge needle to draw up the testosterone and then replace that with a finer 25-gauge needle (about 1” in length) to perform the actual injection with. However, patients should always check with their TRT (testosterone replacement therapy) doctor first on the actual size needles they recommend. These needles come in a variety of gauges and lengths, and your doctor may have some valid reasons for suggesting a specific size that can be shared with you. It is also recommended that patients check with their doctors if they have any uncertainty regarding techniques and injection sites. Knowing what size needle for testosterone cypionate injections you should use is essential to the correct administration of your injections; but so is where you inject them and how you inject them. Don’t make your injections harder than they need to be by not having valuable information that can make them easier and more effective – and don’t put yourself through the unnecessary hassles of learning through trial and error. If you have any questions at all about using testosterone cypionate injections correctly, we encourage you to contact our clinical advisors at Nexel Medical to get the accurate and helpful answers that can make all the difference in your satisfaction with your TRT program. It would be totally impractical for most patients to have to visit their TRT doctor or clinic on a regular and frequent basis to receive their testosterone cypionate injections. This is why so many men find it truly empowering to master things like knowing what size needle for testosterone cypionate injections works best for them and understanding how to select and the rotate the injection sites that they will be using. Without a doubt, being able to safely and successfully administer your own treatments provides you with the satisfaction of taking personal responsibility for extending and enhancing your health and vitality. And the rewards of effective treatment are even more satisfying. But before you can experience the full range of benefits from your treatment program, you will need to learn what the best injection sites work best for you. If you will be primarily giving them to yourself, then an easy to see and reach site such as your thigh muscle will probably work best, as it does for many men. The gluteal muscles of the buttocks are viable sites, but some men find this area hard to reach; however, many adults who chose this site have a family member who will help them with their injection. Some patients include the deltoid muscles a part of their regular rotation of testosterone injections sites – but all patients are urged to discuss their intended site choices with their doctors prior to administering their treatments, as their may be special precautions associated with the regular use of particular sites to be aware of. All of the procedures, including what size needle for testosterone injections to use, are easy to manage when you have been provided with the correct information, but it is a mistake to take any of them too lightly. Remember that what you will be injecting into your body is a powerful hormonal substance but one that must be handled carefully and properly in order to produce the desired therapeutic results. Because you will be injecting your prescribed dosage directly into your muscle tissue, doing it correctly is something that should always be taken seriously. At Nexel Medical, we certainly do – and this is why our clinical advisors are always available and happy to provide guidance whenever our patients feel that they require it. We see guiding our patients to their therapy’s maximum potential for results as our professional responsibility in our role as their TRT medical provider. Everything that we do at Nexel Medical, from providing comprehensive and obligation-free information on testosterone cypionate replacement therapy to any adult who requests it to making TRT programs locally available to qualifying adults across the entire US, is geared towards one goal: Providing successful Low T therapy programs to our patients. We believe that a successful outcome is even more assured when adults feel that they have a competent and caring medical partner in their treatment. So our doctors have made it easier for people to receive TRT testing and treatment by eliminating the need for anyone to have to chase down medical treatment for Low T, and then have to also chase down their prescribed medications along with the medical supplies they will need. With Nexel Medical, we schedule local testing and examinations for our patients … we diagnose and prescribe treatment for them … and we also provide them with a safe and secure means to purchase their prescribed pharmaceutical treatments and supplies online. 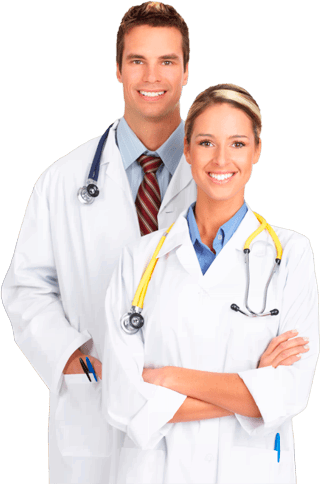 They never have to chase down essential information regarding what size needle for testosterone cypionate injections they need to purchase or anything else because they know they can rely on our guidance to make sure that they receive exactly what they need. Isn’t that what a good partner would do? You can do it – you can eliminate your troublesome Low T symptoms and regain the vitality that you had back when your testosterone levels were capable of fueling your maximum virility, energy and confidence. It will take being committed to using the proper procedures; having the necessary blood levels testing; and maintaining a healthy lifestyle. However, you’ll do it much more successfully when you have a partner like Nexel Medical providing you with experienced guidance that is always just a phone call or email away.